This body wash is gentle for sensitive skins like mine and leaves it moisturised and smooth. Smells fantastic and your skin replendish after bath. Gentle and very good! I like Ren Moroccan Rose Otto Body Wash (200ml) very much. My skin is so soft and smooth! 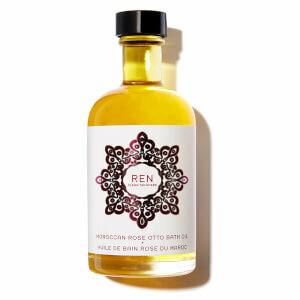 This Ren Moroccan Rose Otto Body Wash is the most fantastic award winning body wash. 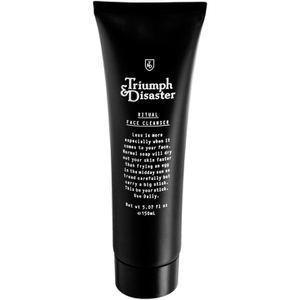 It gives you a super lather with only a small amounts on wash or with a sponge. It's very moisturising and good for sensitive skins. The scent is subtle but is wonderful followed by the body oil sealed with the body lotion. The Rose set from Lookfantastic is a great way of sampling all these products. I would totally recommend it and buy from this site as it's excellent value for money. A beautiful fragrance and a rich foam. I would recommend this product. It is pricey but a little goes a long way. I will certainly be buying this again. Gorgoeus smelling product I've been using this for years along with the sugar scrub (which is ah-mah-zing!) it never dries or irritates my eczema. Love this! Fantastic product! Sublime scent that lingers on the skin and makes every shower you take a spa occassion. Totally non-irritating so can be used EVERYWHERE. I recommend that every female once in her showering/bathing lifetime has a Moroccan Rose Body Wash experience. You will thank me..and Ren for it. Divine. Brynhild You can pop the top off the plastic outer tube leaving the bag free (requires a thin knife to get under the seal)....you can then cut the corner of the bag and get the last smidgen of shower gel out.... bit fiddly but worth the effort. This shower gel has been a favourite of mine for years...non irritating so can be used EVERYWHERE..... I LOVE it. Can't praise it highly enough...and the smell....ab-so-lute-ly divine.x Good ol'Ren. Lovely scent and leaves skin soft. No wonder this product won best shower gel, it's just gorgeous and well worth it. I feel slightly ripped off. why? The shower gel is absolutely delicious! It feels SO good on my skin and smells sublime! The problem I have with this is that I've now got at least 50 ml left in the container - but can't get it out! There is some sort of double-packing going on, you see, so you actually have the showergel in a plastic bag inside the container itself. Result? Each time you pump out an amount of gel, you also pump out some air and eventually it creates a vacuum in the bag. So the rest of the gel is stuck at the top of the bag, and can never get to the inlet of the tube (which is all the way at the bottom of the bag) no matter how much you shake it, because of this vacuum. If anyone has any tips on how to get to the rest of the showergel, please tell :) because the showergels is oh-so wonderful!